The Chase Sapphire Reserve Is Finally Here – And I’m Late! The Chase Sapphire Reserve, Chase’s newest and shiniest credit card has officially launched. Though it’s really exciting and it’s a sweet new product with lots of potential, it’s bittersweet for a lot of us churners. $300 travel credit (including hotels, car rentals, etc.) per calendar year – so you can earn this benefit twice. Once now, and then once again after January 1, 2017. Points can be redeemed at 1.5 point per cent on travel via the Chase Ultimate Rewards travel portal. Though earlier reports from last week seemed to indicate that the application which went live – which weren’t supposed to at that time last Thursday – werenot under 5/24 (for a refresher, see here), it appears that as of today, the official applications do indeed fall under Chase’s restrictive policy. … And you’re at 4/24, get this card before you get anything else. If you’re first getting started your first five credit cards should be Chase products. And remember. You can apply for multiple Chase cards in the same day to limit credit pulls cymbalta price. But, please be sure to apply for one card at a time. Once you’re approved, move on to the next. 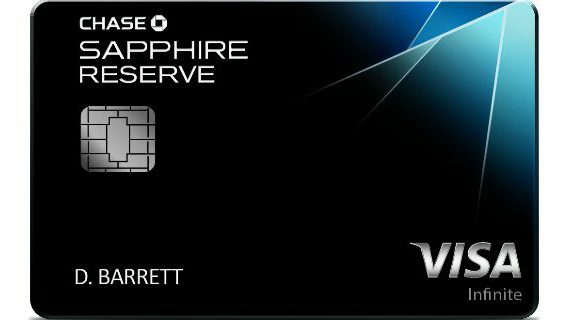 Remember: Get approved for the Chase Sapphire Reserve and then the second card. Some Reports of Success – Pre-approved in Branch? There are some reports of success for those over 5/24 if they are pre-approved. How do you know if you’re pre-approved? You need to go into a Chase branch. Doctor of Credit, as usual, has a great article on tips and FAQ regarding pre-approvals in branch. I strongly recommend you review this article. Of course, this does not mean it is a guarantee, but there are a lot of data points indicating that it helps with an approval for those with many cards opened recently. While I’m a bit salty that I probably will be unable to get approved for this, that’s the direction that banks have been moving in and I’ve reluctantly accepted it. I like to plan early. I mean really early. Like 11 months from the day I’d like to travel. 11 months or so are when many airline calendars open up for revenue reservations and award bookings. Sometimes, the day the calendar opens up can be the best day to book. For many people it’s pretty difficult to plan so far in advance. In any event, next summer I’m hoping to embark on a Euro Trip (countries to be determined). Knowing full well what availability is like getting to Europe in the summer, I’ve already started my searches to identify award space trends. (See here for when to start planning a award trip). While I have my outbound from North America locked in, finding a way back appears to be a bit trickier. Delta/SkyTeam have space, but you’ll pay hefty fuel surcharges on the way back to the U.S. As for using United MileagePlus miles, I’m out of those, so I had to default to American. Before the devaluation, using AAdvantage miles on Oneworld or American Airlines flights to Europe was a great deal: 30,000 in coach, 50,000 in business. The business redemption changed to 57,500 – which isn’t too bad, all things considered. High fuel surcharges on all flights leaving the U.K., especially when travelling on British Airways. Most of the locations in the United States are East Coast hubs with the exception of Chicago. I conducted a search on all 26 routes for two passengers leaving from the European destination… The results were depressing. 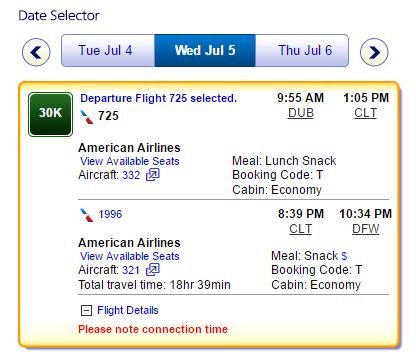 I knew that AAdvantage Saver award space was getting worse, but I didn’t think it would be THAT bad. Please note that all searches were conducted on August 17, 2016 for two passengers and that award space can change at a moment’s notice. The only trend here is that all routes have coach space in end of April, May, June and the beginning of July. As of now only Rome-Chicago and Rome-New York (JFK) have a few days of business class space. I also included flight numbers if you’d like to set alerts on ExpertFlyer or Award Nexus if space opens up. While there’s a lot to hate about the AAdvantage Award search engine, there’s one key feature that allowed me to zero in on space: the ‘non-stop’ selection. It looks like there is business class availability everyday. Now that looks right – unfortunately. There is no business space as of now on this route. If you’re looking for non-stop flights, be sure to change that filter otherwise you’ll end up with a lot of British Airways flights with fuel surcharges ranging from $250 – $500+ on a one-way ticket. What if you don’t want to fly out of one of these destinations on your trip? Or perhaps you do want to go to Dublin, but don’t live in Charlotte? Well you don’t need to be locked in. You can construct an award that has mixed Oneworld partners and has multiple cities. If you hit multiple European cities you’ll pay a bit more in fuel surcharges. Remember, you can also have your connecting city be a faux-stopover as long as it is less than 24 hours it should price out at as one award. If you want to fly… Dublin – Charlotte – Dallas, your best bet is to search each leg individually. Then search Dublin – Dallas. If the whole trip doesn’t come up, but there is individual space on each leg, call American and they should be able to manually price it out for you at no extra cost. Do not pay the phone fee if it’s a legal award booking, but it doesn’t show up online. You have no desire to go to Dublin, but there are no other dates that will work for you to get back home in New York. 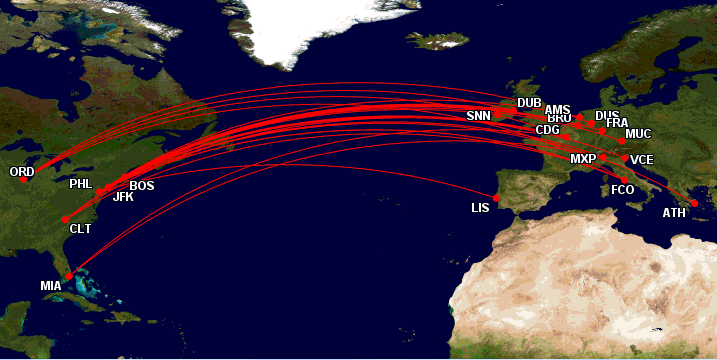 In that case, Iberia a Oneworld partner has many routes through MADairport. You could do something like… Madrid – Dublin – New York. Remember, search each leg individually and if it doesn’t show up online, call American Airlines to book the award flight over the phone. You’ll find a lot of connecting options through a lot of the focus city airports (Zurich, Stuttgart, London-Gatwick). So why not just fly Iberia, Air Berlin or Finnair from their hubs and be done with AA? This post was originally meant to just highlight the lack of AAdvantage Saver award space, but it morphed into showcasing other options for a Euro Trip (or similar trip) and it includes other direct destinations available only by flying American Airlines. Furthermore, with banks restricting sign-up bonuses it’s not such a bad idea to be smarter about how we redeem miles and points for award flights. Even if this means flying coach *gasp*. Routes like Dublin – New York aren’t much longer than Los Angeles – New York. Unfortunately the business class award space situation here is bleak. Looking at the calendar so far out, one would assume that there would be a plethora of award space (many airlines release space like this). It used to be this way with American Airlines. The only positive note is that award space will (hopefully) change dramatically over the next few months. Be sure to keep an eye out on routes where you’d like to fly business and monitor them as closely as possible. Well, yesterday the card accidentally went live and eagle-eyed churners over at Reddit posted the link and begin to apply. About 20 minutes after that, Chase shut down the link. Why? Because it wasn’t ready. It was their beta landing/application page. The URL had “.wip” in it, which means “work in progress” – and once the page was shut down, if you refreshed, you were asked for developer credentials to log in and access the page. Though it’s a false start, there isn’t too much to be disappointed by. In fact, a few things were confirmed! Image courtesy of Frequent Miller. Travel credits: $300 per calendar year (so it resets after Dec. 31 each year, effectively giving you $600 in travel credits this year). These will function like Citi Prestige travel credits, but will also include hotels and car rentals – basically anything that codes as travel! This card will also be issued as a Visa Infinite and have the usual suite of benefits like auto collision waiver insurance when renting a car. That sign-up bonus is mouth watering, but so are the travel credits and the bonus categories. Frequent Miller compiled some useful data from Reddit and found that 80% of applicants (who shared their stories, anyways) were over 5/24 and were approved. Apparently, when the Chase Freedom Ultimate launched, it too was exempt from 5/24, but only for the first few days. Here’s what I’m going to do, as my wife and I both have a lot of Chase products which significant credit limits. Lower credit limits. We have sufficient credit with Chase and I’ve previously found that when I lose/remove $5,000 – 7,000 in available credit, we have easier times getting automatically approved. Hold off on any other cards, including authorized users. Don’t give Chase less of a reason to approve you. Even with Citi’s new rules. You can apply for this on 8/21 and then a Citi card after that Chase application has gone in. Unfreeze your Experian reports. I’ve kept my frozen for a better part of two years so that when I apply for Citi or Bank of America cards, those banks won’t pull Experian (which is dominated by AMEX and Chase in New York). Be sure to unfreeze your Experian (if Chase pulls that in your area) so you’re ready to go once the application is live. You can find out more information on freezes/thaws here. Not only does this card have an incredible sign-up bonus, there are also some key benefits that make it worth keeping, even with the hefty annual fee. I really hope for all of us over 5 cards in 24 months that this card is exempt from the rule. If the link actually goes live before August 21, I’ll be sure to post it. Earlier this year, Chase began limiting card members in a rule that’s known as “5/24” (see Chase – The Other Shoe Drops’), followed by AMEX which hammered another nail in the coffin by limiting ALL of their credit card bonuses to once per lifetime. Well, yesterday it was Citi’s turn. I was planning on waiting for more data points to come out, but I thought I’d quickly share this. American Airlines AAdvantage® bonus miles are not available if you have had any Citi®/AAdvantage® card (other than a CitiBusiness®/AAdvantage® card) opened or closed in the past 24 months. … You opened OR closed that card type in the past 24 months. January 1, 2016: Annual fee on the above card comes due, you close the card. You will be unable to open ANY Citi AAdvantage cards. Does this apply to other Citi Cards? YES. This applies to Citi ThankYou, Citi Expedia, Citi AAdvantage and Citi Hilton products. What’s excluded? Costco Business and Citi AAdvantage Business cards. What should I do with my Citi cards that are currently open? KEEP THEM OPEN, or reset the 24 month clock from closing. Even if this means paying an annual fee. Try for retention; and if they don’t budge, keep trying. Keeping the card for another year is worth the ability to reopen the product. Which Citi cards should I get if I am able? That’s up to you, but I’d recommend getting the AAdvantage Platinum, or Executive (but not the Gold), Citi Hilton Reserve over the No Fee Citi Hilton; in terms of ThankYou products, only the Prestige has a bonus. Wait to apply for Premier, as the Premier has no annual fee for the first year, and only $89 after that. 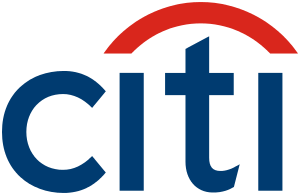 I just opened a new Citi card – what should I do? That depends on your specific situation. If it’s your first of the co-brand, like a Citi Hilton Reserve, you could just keep it open, or get the bonus and close. But once you close, your 24 month clock resets. (I personally would keep the card as the annual fee is manageable and it comes with Hilton Gold status). The only product to consider closing after you get the bonus, if you just opened it, is the Citi Prestige. In this constant changing game of devaluations and churning, there really is no time like the present. Only last week I applied for the Citi Hilton Reserve for my wife (and was approved). I’m glad I did. We’re both pretty maxed out on our Citi products (they don’t have many), but I was looking forward to getting some more American Airlines Miles from the Citi Executive card. If you don’t have an Excel spreadsheet/Google sheet for your credit cards, open one NOW. Being able to go in, filter by bank (Citi in this case), I was able to see when I can reapply for my next Citi card. We’ve seen this trend by the major banks to crack down on those of us who churn and chase sign-up bonuses. American Express’s once-per-lifetime limitation is draconian and alienates all consumers, whereas Chase is in a position to limit the products they offer (because they have so many products and customers). Citi, on the other hand, has never had the strongest co-branded portfolio. This move is actually pretty smart. 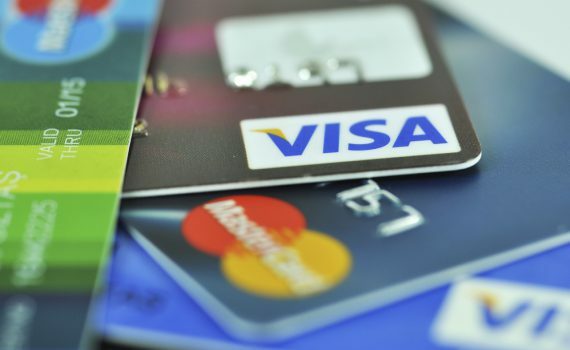 Think about it: most consumers probably have 2-3 credit cards. 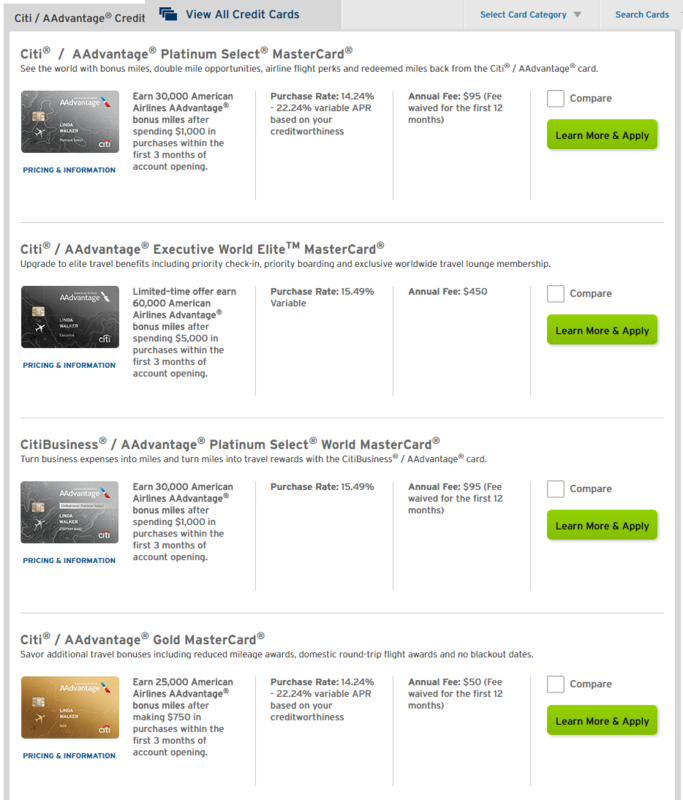 Having multiple American Airlines credit cards from the same bank probably doesn’t make much sense to most people. They’ve also, smartly, excluded business cards. Don’t despair! Things change. It’s definitely a blow. But like we discussed when Chase and AMEX changed their rules, this requires further adaptation and planning. As more data comes out on whether or not Citi is strictly enforcing this new rule, if there are any zombie links, or workarounds, I’ll be sure to post an update. AMEX Membership Rewards to Avios – 50% Bonus! Last October, American Express decreased the Membership Rewards to British Airways Avios from 1:1 to 250:200, respectively. Since this “devaluation”, there has not been a British Airways Avios transfer bonus (though there historically have been many in the past). Though isn’t as great as a 50% bonus on a 1:1 transfer ratio, it still comes out to about 20% if there wasn’t a change in the ratio last October. The best use of Avios are for short/medium-haul flights in the United States. 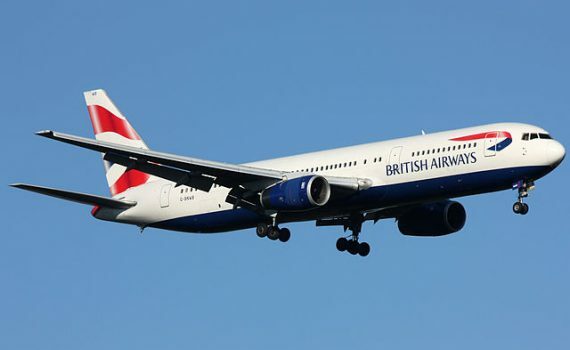 In particular, British Airways partners with American Airlines. This allows you to redeem Avios for American Airlines (and Alaska Airlines) flights. Unlike American, though, British Airways Avios redemptions are distance based and not based on region. So in the U.S., anything that is between 1 – 1,151 miles flown, will be 7,500. Compare this to your standard 10,000 – 12,500 for U.S. domestic one-ways, and you have a steal! The best tool for determining Avios price based on your location is the ‘Award Destinations by Price‘ tool. You simply enter the three letter airport code, and the return is a map of all airports you can fly into with your Avios – and more importantly, how many Avios miles it will require. This works for every airport in the U.S., assuming American or Alaska flies there. 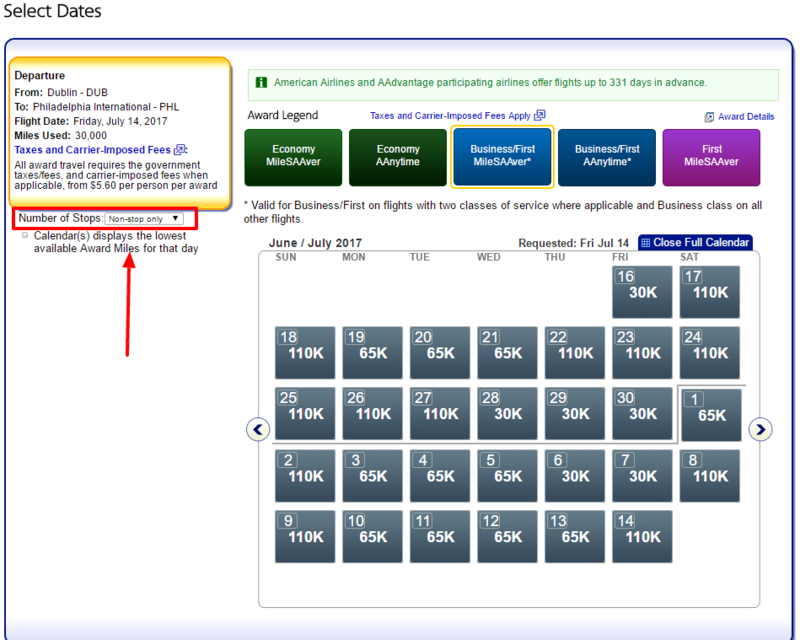 So routes that normally cost 7,500 Avios now only require 6,250 AMEX Membership Rewards. That’s a great deal. Probably the best you’ll get on any mileage program. And unless you’re flying Spirit, most of your tickets will cost over $60 one-way. Short-Haul Travel Outside the U.S. While the Oneworld alliance is not massive, there are some solid partners in different continents that are well connected. Because British Airways is part of the Oneworld alliance, you can redeem your Avios for other partner airlines. Even better, for truly short haul flights that measure between 1 -650 miles, you’ll need only 4,500 Avios or 3,750 Membership Rewards. Here are the airline partners by region, outside the U.S.
Let’s use Helsinki, Finland (HEL), Finnair’s European hub, as a starting point. According to our tool, you could fly all over the Baltic states (and then some) for only 4,500 each way. Or, with the transfer bonus, 3,750 Membership Rewards. Doesn’t get much better than that, and it is not a low cost carrier! 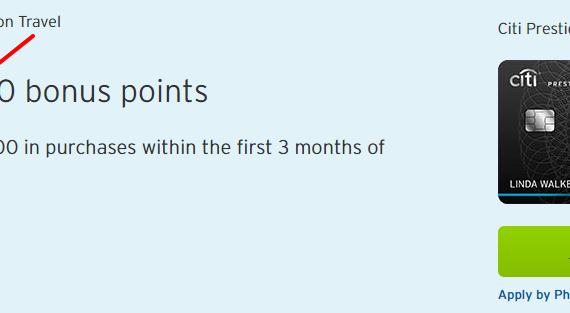 If you’re planning any intra-country travel like a Euro trip, I’d really encourage you to look into transferring Membership Rewards to Avios while there’s a bonus. Last week I discussed that the Citi Prestige would be changing – at the time, it was not clear to what it would change to, exactly. At first, some information was “leaked” that Admiral’s Club access when flying same day AA ticketed flights was ending in July 2017 (a year from now) and that earning 2X ThankYou Points on dining was going away completely. So what does the Citi Prestige look like now? While the decrease in the bonus isn’t horrible (nor is the extra bit of spending), the primary reason I kept this card for the year was to have access to Admiral’s Club. The good-ish news is that even if you sign up today, you’ll still have it for a year, just like anyone who signed up before. I wonder if they’ll lower the annual fee next July or often some other compensation for card members. I think the biggest surprise was that the 4th Night Hotel Free Benefit is still remaining. 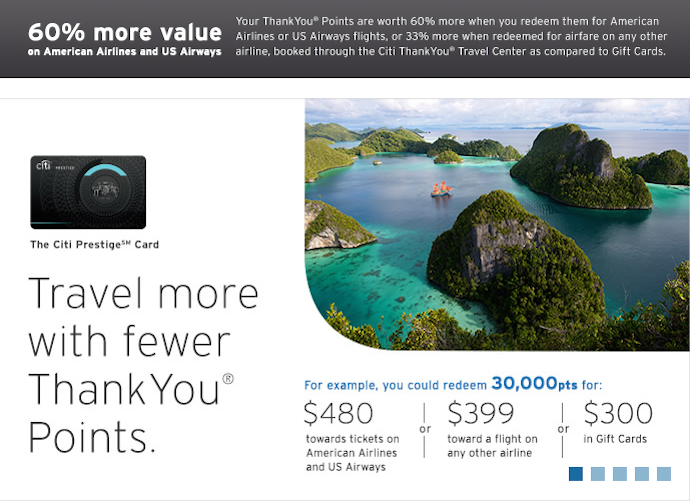 The unfortunate thing is that the Prestige card is Citi’s only ThankYou card currently offering a sign-up bonus. Both the Premier and Preferred don’t have a bonus. So if you’re in need of ThankYou points, then yes, it probably is worth it. You can always sign up, get the bonus, and cancel within 37 days of the annual fee posting to get it refunded. I would never sign-up for a premium credit card like the AMEX Platinum when it was at its lowest sign-up of 40,000 Membership Rewards. I don’t think any of my readers would either (I hope not, anyways). With the exception of those needing ThankYou points, this card will probably be on the list of “I’ve gotten every other Citi card, so I have to get this, too.” Until then, for $450, I’d hold off. Here’s a working link of the 50,000 offer. No telling how long it will remain up. Also, TAKE SCREENSHOTS if Citi gives you trouble once you’re approved. Some exciting credit card news surfaced last week that I wanted to share with you folks! We often don’t get good news in the credit card/points/miles world, but alas, rejoice! There are currently EIGHT American Airlines credit cards in circulation. Four are not for new applicants and are issued by Barclays; four are issued by Citi and are for new applicants. 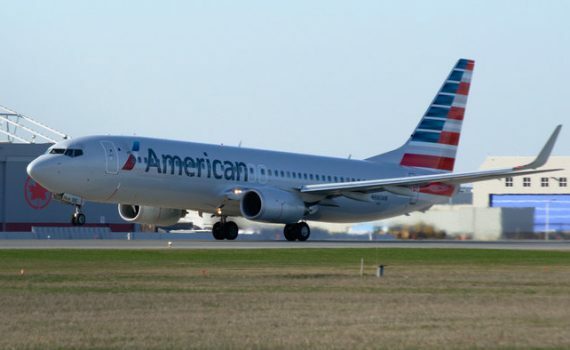 When US Airways and American Airlines merged last year, so did their frequent flyer programs. Dividend Miles became AAdvantage miles. When this happens, the US Airways Credit Card holders (then issued by Barcalys) would usually become Citi AAdvantage credit card cardholders – but this didn’t. In fact, Barclays retained their current portfolio of customers, but lost the ability to issue new products. You can sign up, and earn the bonus on each of these products. Since then, Barclays has been incentivizing customers with bonus miles and earning offers AND nicely waiving annual fees. After all, their former US Airways cards, now called Aviator cards, are pretty similar. If, after all, they cannot earn new customers, they’re going to do what they can to retain customers. However, last week the news surfaced that Barclays would now have the ability to issue NEW American Airlines credit cards, just like Citi currently does. There are some important caveats, however. Barclays will not be advertising these through the normal channels (online and mailers); rather, they’ll be able to advertise these cards in-flight and at airport kiosks. You’ll probably have to close your Aviator cards to earn the bonus on these new products, but you will be eligible for them (only taking into account Barclays stringent churning rules). 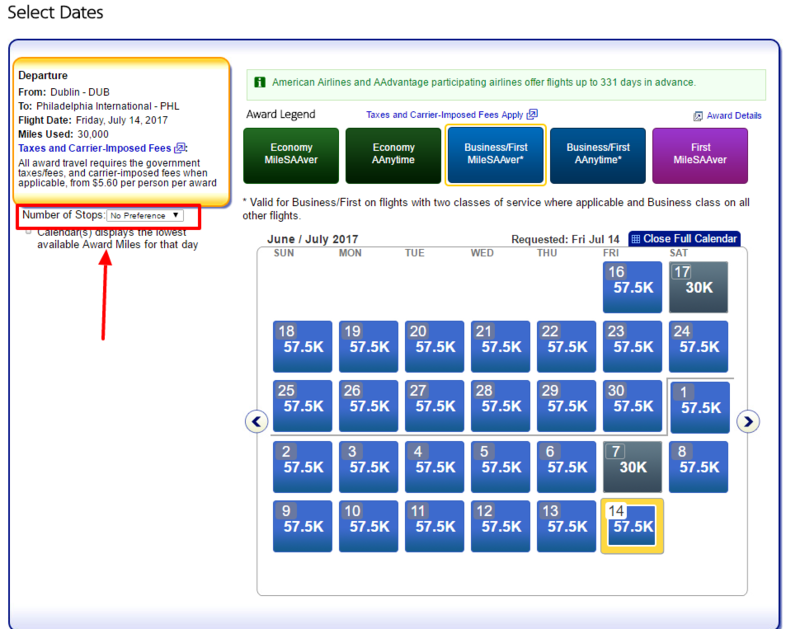 OR, an entry level (as above) and a premium version, similar to Citi’s Executive AAdvantage product. I guess I’ll need to time my applications to flights ;-). Avianca, a member of the Star Alliance that has a strong presence in Latin America, has previously had a credit card relationship with US Bank. That has ended and LifeMiles, the frequent flyer program of Avianca, has inked a new deal with a different bank. No word on which bank or exactly when that will be rolled out, but it will probably be Quarter 1 of 2017. Briefly, LifeMiles a separate company from Avianc, has firesales on miles. People often buy these miles for very cheap and use them to fly Star Alliance premium cabin flights, like Lufthansa first class. The best part is that LifeMiles never passes on fuel surcharges, even when Lufthansa First Class taxes are usually around $400. 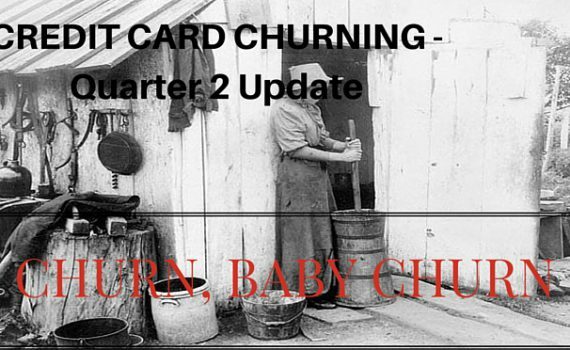 I hope that Chase does not pick up the new card because of their new churning rules (see 5/24). 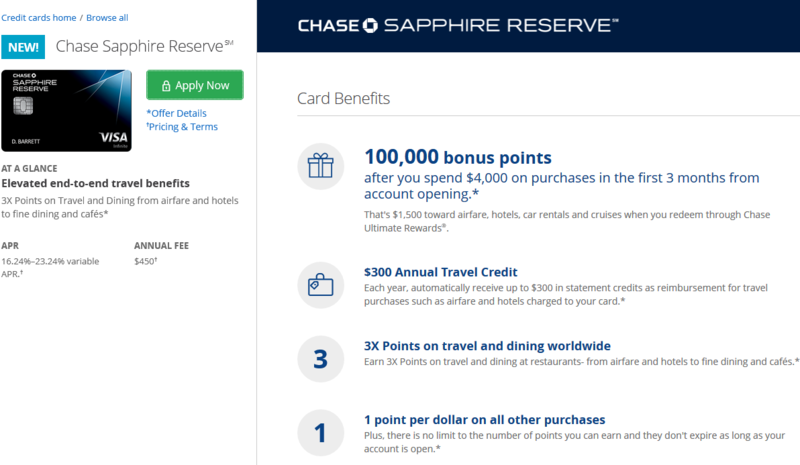 I also do not think Chase will get this new card because LifeMiles is known to be all about profit (hence their year-round sales on LifeMiles: 5/24 rules are not very profitable). It could be Barclays, but… They’re pretty stringent, too. I’d love to see it go to AMEX–they could use it–or Citi. While we still have some time before either products drop, it’s still exciting to think about and keep in the back of one’s mind for the planning of earning points. 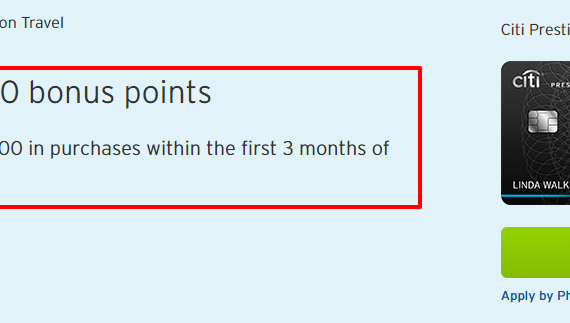 Citi Prestige Sign-Up Bonus Changing on Tuesday? Rumor in the blogosphere it that the Citi Prestige sign-up bonus will be changing on Tuesday. This bonus will change Tuesday – to what? Only time will tell. Bloggers with affiliate links have been informed by their masters respective affiliate networks that they need to pull the current Citi Prestige links down by Monday at midnight. Last time this happened with Citi, it was for their ThankYou Premier card. The Premier card went from 50,000 ThankYou points in three months to 40,000 ThankYou Points and now, zero. There’s been lots of speculation, and the most popular one is that Citi’s marketing team did so well that they hit their quota for sign-ups and ran out of acquisition bonuses to award new card members. Since then, no word on when/if it will come back, though I’m sure it will at some point. The same speculation has been applied to the Prestige card. Only time will tell. In the world of miles and points, the Prestige card is unbalanced. It offers too many and too costly benefits for Citi to maintain in a world of constant devaluation. $250.00 Airline Credit — Unlike AMEX, this can actually go towards a ticket cymbalta 30 mg. Transfer your ThankYou points to a host of airline partners, or redeem for 1.6 points per dollar on American Airlines flights. There are some pretty sweet benefits on this card, but as a premium credit card, it comes with a cost: $450.00 annual fee. That’s hefty. Even with that, it is, as mentioned, unbalanced. Though I’ve never taken advantage of the 4th Night Free benefit, it probably costs Citi a pretty penny! I opened up the Prestige last May and recently closed it when the annual fee came due again. I really liked the card for it’s earning categories, airline fee credit, good value when redeeming on paid AA flights, and AA Lounge Access. However, for the foreseeable future, I won’t be on many AA flights to make it worth it. Though ThankYou points are good for redeeming on AA metal when there are no award seats available, I’m fresh out of ThankYou points! I do still have my Citi Premier open which earns me ThankYou Points and the ability to transfer to partners. There’s a great article by The Free-quent Flyer where he discusses the actual value of the benefits for the average flyer–after all, he explains, being a travel hacker is about spending the least amount of money as possible. $450.00 is not least, even with the benefits. (It’s short, informative and worth the read). So Why Even Bring It To Your Attention? If you were going to apply for this card anyways, now is the time. And don’t wait until Tuesday, July 19. And, if the bonus miraculously goes up, then you can probably get matched by Citi. I’ve already had this card and Citi’s churning rules restrict me from getting this product for another 24 months. My wife, however, has not had it. I have until Monday to decide. 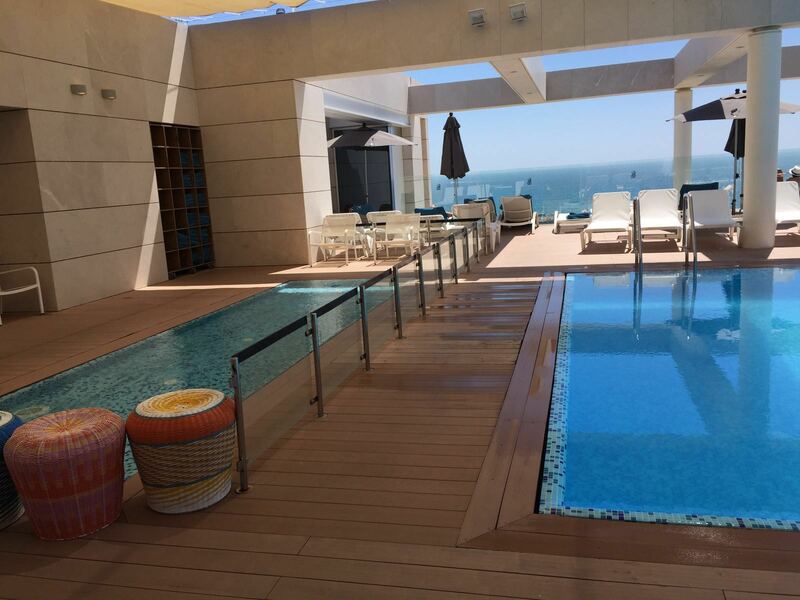 About a week ago I began toying around with the idea of staying at the Ritz Carlton Herzliya – the second of two aspirational point redemption hotel properties in Israel. You can review that here, where we reviewed the best redemption option for that property. I ended up booking the Cash + Points option. And now that I’ve completed my stay, was it worth it? 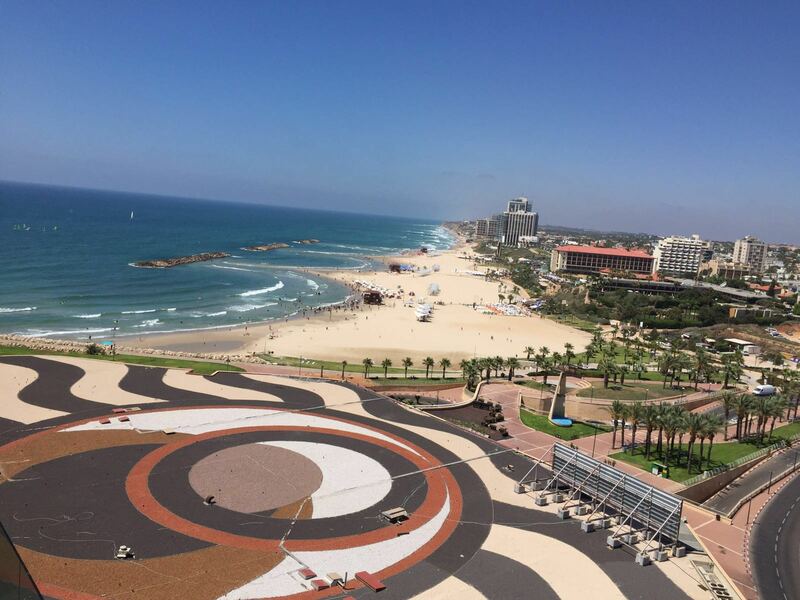 The entrance of the Ritz Carlton Herzliya is nestled between two mall entrances. As you enter, the staff takes you up the elevator to the beautiful lobby where you can check in. I’m a lowly Marriott Silver (granted through the credit card) so I was not expecting any upgrades, but we were granted late check out (2:00 PM – yay!) 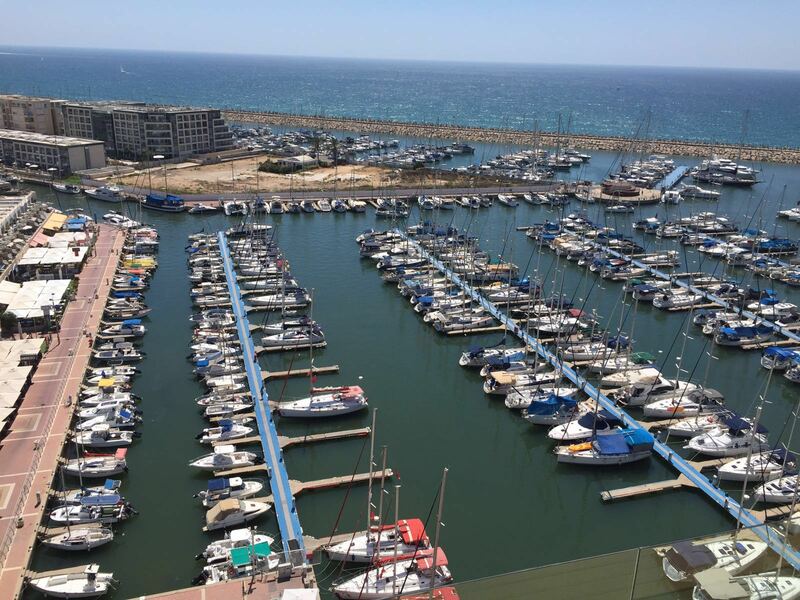 and given a corner room with a view of the Herzliya Marina. All rooms at the Ritz have a balcony with views of either the marina, beach or street. Seemingly, the nicest ones would be the marina. And boy, those views were nice. But those views come at a cost. As expected, the room is modern, clean, and well furnished. But, it is not excessively opulent like the Waldorf Astoria Jerusalem. The best part about a corner room is that they’re usually bigger. Not having stayed in other Ritz room, I wouldn’t know for sure, but it did seem a bit bigger, especially in the hallway leading to the room. Having stayed at several hotels in major metropolitan cities, you’d think I’d be used to that? Well, no. Why not? Because there’s no need to get used to it when hotels use thick windows (or glass patio doors in this case) that are designed to muffle as much sound as possible–which is indeed the case in cities like Paris, Tokyo, New York and Chicago. I’d consider that a major design flaw. I eventually fell asleep, quite late because of the noise. For context, right below the hotel’s side facing the marina are several bars and restaurants. Israel municipal laws dictate that establishments must turn off the music at 11:00 PM. However, it was the end of Ramadan and there was a Euro cup match on with the bar’s TVs on extremely loud, it may was well have been music. Listen–I understand you can’t make every guest happy about every little thing, but 1) this is the Ritz and 2) one of the best parts about going to hotels is the peace and quiet! I love the beach, but I’m a pool person 100%. The Ritz pool seats about 50 people and has marble beams which block the sun deck, placed at 10-foot intervals. If it wasn’t so frustrating, it was humorous to watch the pool attendant and guests maneuver through the overly packed sundeck to squeeze an inch here and an inch there to get out of the way of the sun-blocking beams. Notice the sun-blocking beams in the background. 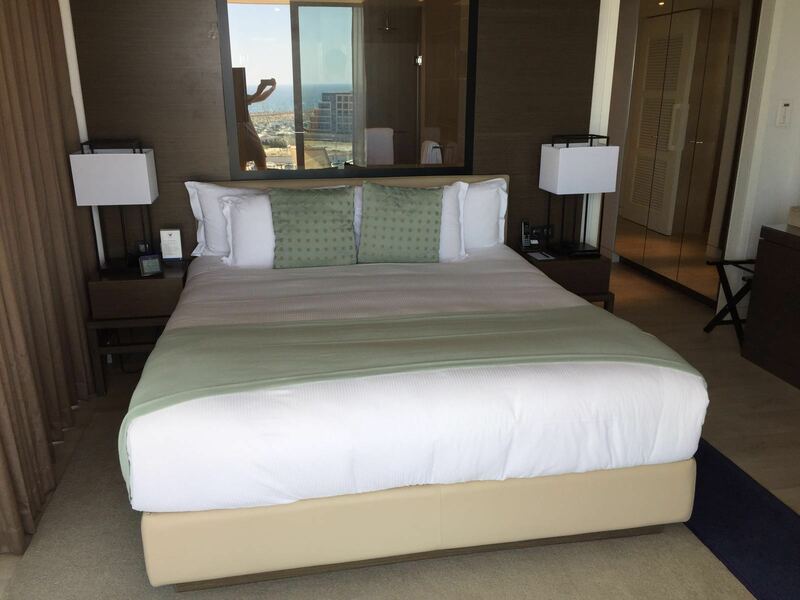 With 150 rooms, at a minimum average occupancy of 2 guests per room… You get the picture. Understandably, the hotel tries to upsell the beach (it’s about 10 minutes walk). 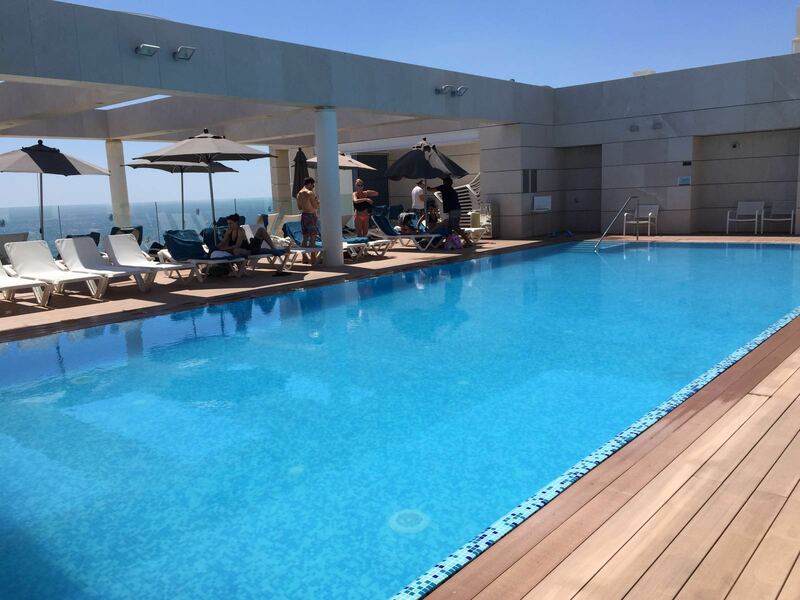 Granted, Herzliya probably has the cleanest beaches in Israel, but one would expect a hotel in a warm climate to have a stellar pool. Finally, and maybe most importantly, those who travel to Israel on points and stay at Israel hotels on points, have talked this hotel up so much and set the expectations extremely high. Maybe that’s why I was disappointed. So, putting aside the pool, the noise and pretty disappointing customer service (each request to the front desk had to be called in two, and sometimes three, times) is it worth it? 50,000 Marriott point redemption? No. $490.00 Cash booking (before taxes)? No. Ritz-Carlton Chase Credit Card certificates? Maybe, but probably not. Why would I say “maybe” for option number four, after giving a scathing review? Because of the four options it’s the “cheapest” and best redemption value. 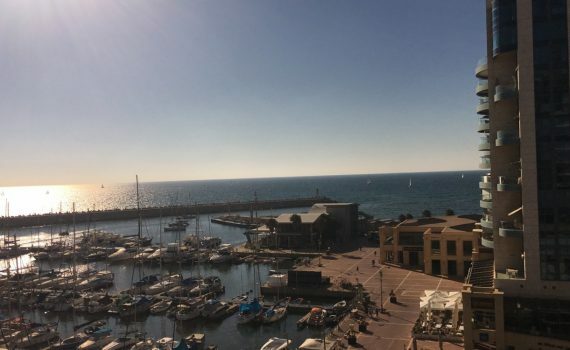 It’s also the best points option in Herzliya, but if you were to full pay cash there are other options that may give you a better bang for your buck. As the second quarter of 2016 comes to a close, I wanted to share with you all my progress in the past three months; some hiccups and my strategy going forward. You can read Quarter 1’s update here. So why did I earn less? Meeting spending requirements from last quarter took a while; my rule is that I will never bite off more than I can chew and always finish up spending my most recent card before moving onto the next. Most importantly, as I’m working abroad, I knew it would be a bit difficult for me to reach the spend (not to mention get the physical card), I wanted it to all be set up before I left. Considering all the new churning rules in affect, I’m a bit limited with banks like Chase and AMEX; but with a significant other, there’s more opportunities. Here’s my thoughts! There’s a distinct possibility I’ll apply for the Delta Business Platinum (60,000) between now and when the offer expires, July 6. When I come back, if it’s still an offer, Alaska upped it’s Bank of America cards (personal and business) from 25,000 to 30,000. Rumor has it that they will only approve you or one personal and one business–I may need to check that out ;). Small, small possibility of the Ritz-Carlton card, if I know I’ll get a good use out of it. For my SO, definitely the Barclay Arrival+ –they seem to like her more than they like me. A Citi card–I hope the Premier goes up to 50,000, or maybe the Prestige, as I’m closing mine soon. What other cards should I go for? As fun as it is to read about churning and earning, what about burning? The business class tickets, for example, have a value but not really what’s listed. Why? I’d never spend $3000.000 on a business class ticket. The Waldorf regular room rate is cheaper, but I got upgraded so I priced it out based on that. I’ve also managed (yay!) to keep taxes pretty low these past few months. When flying back from Europe, which traditionally has the highest fuel surcharges, I’m flying on American, which doesn’t pass those on. With a little bit of planning (see here on when to start planning), you too can earn enough points to take lots of trips for little out of pocket expenses.